There is a sense of accomplishment when one can create something from raw materials. 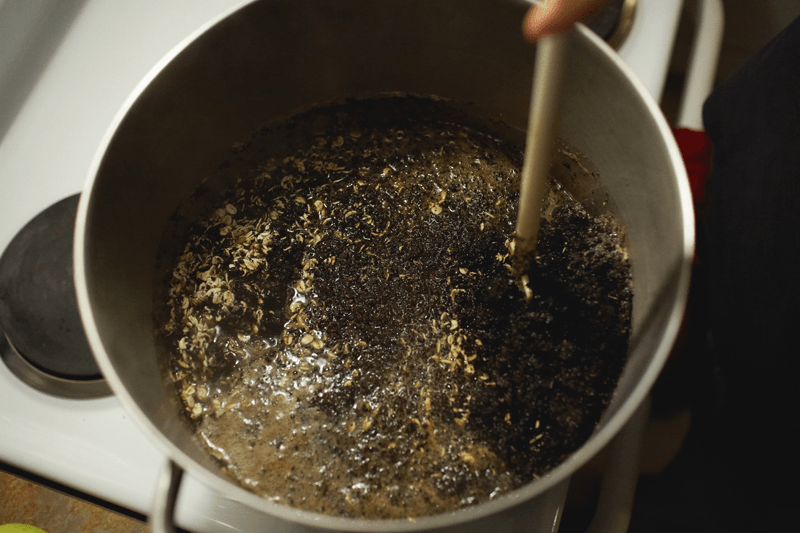 Making a Whiskey or Bourbon from raw grains is the next step in Home brewing. If your interested in learning about the process of making a grain mash, fermenting it and distilling it to make a product that you’d be pound to share with your friends then your in the right place. Why are Grains Used to Make Bourbon or Whiskey ? The first thing to understand is that grains should only be used for fermentation when the end product will be a flavorful spirit. For example if you were trying to make a bourbon or whiskey a grain mash is the best choice. This is because corn, rye and barley add distinct flavors to the final product. Making a grain mash requires more work then a simple sugar wash however the end results are worth the extra effort. What type of still is used to make Bourbon, Rum or Whiskey? in the fermenting process. 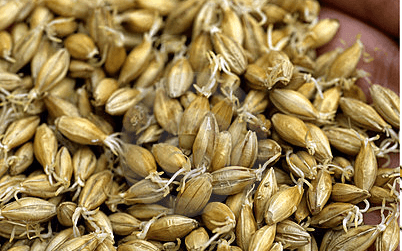 Malting is the process of germinating and sprouting grains. During this process grains produce enzymes which convert starches to sugars these sugars can then be consumed by the yeast producing alcohol. 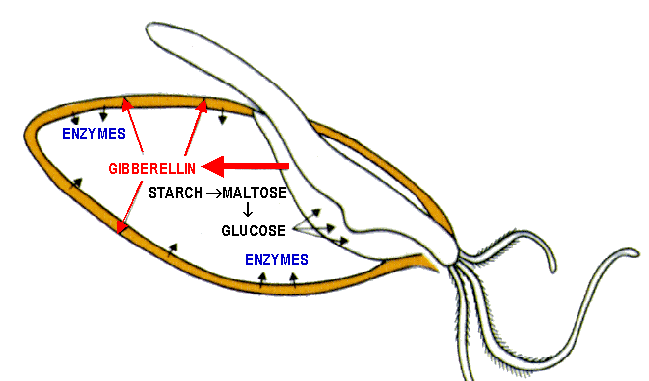 Yeast can not break down starches which are naturally stored in grains the malting process naturally converts these starches to sugars which the yeast can then feed on. Not all grains contained in your mash need to be malted, the general rule of thumb is that if 20% of the grain is malted there will be enough enzymes within the malted grains to convert the rest of the starches in the un-malted grains during the mashing stage. As an alternative commercial enzymes called amalyse can be purchased and added directly to your un malted grains effectively eliminating the need for malting. The next step is cracking or crushing the grain so that all the starch are exposed and can be dissolved in the mash when cooking begins in the mashing stage. To grind the grains use a mill, food processor or coffee grinder. Grind the grain into a course meal but not to fine. Mashing is the process of heating grains and malt in water. The heat aids the enzymes in converting starches to sugars and dissolves these sugars in the mash. To start the mashing process add 5 L of water for ever 1 KG of grain in a pot, heat this mixture to a temperature of 62 C for 1 hour, stir occasionally. Once conversion is complete, strain out the grains and you will be left with your grain wort, you are now ready to start fermentation. To learn more about making whiskey, rye or bourbon from grains check out our recipes below which include step by step instructions. I’ve also just posted a how to age whiskey for beginners guide for anyone wanting to learn how to age their homemade whiskey or bourbon.